According to verified new-vehicle owners, listed below are the top-ranked 2000 Small SUV models in performance and design, measuring how gratifying a vehicle is to own and drive. Awarded to the brand who had the fewest problems reported by 100 car owners during the first 90 days of ownership. Awarded to the brand who had the fewest problems reported by 100 car owners during the last 12 months with their 3-year old vehicle. 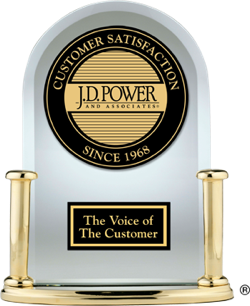 Awarded to the dealer performance, both in terms of vehicle servicing (i.e., service initiation; service facility; vehicle pickup; and service quality) as well as the sales experience (i.e., dealer personnel; delivery process; and dealership facility). The depreciation rating is based on the vehicle average annual depreciation over 5 years.